Last weekend I hosted a dinner party for which I cooked Indian food and wanted something fruity to accompany it. 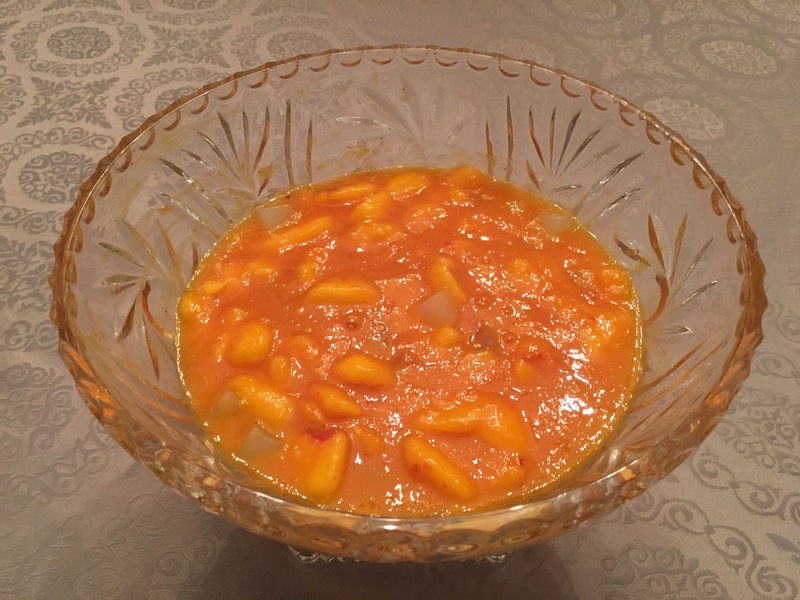 Peaches are still in season here and they marry well with the flavor of mangos, so I made this uncooked compote. I also added cubes of coconut gel for a nice textural contrast. It is available in Southeast Asian grocery stores under the name nata de coco. It was delicious and refreshing, also very versatile. It also makes a nice dessert sauce for cheesecake or ice cream. In a large bowl mix sliced peaches with sugar and lemon juice. Stir to dissolve sugar. Add 1/2 can mango pulp. Save the rest of the mango pulp for another use (it freezes well). Add drained coconut gel cubes and mix well. Taste and add sugar if needed. Cover with plastic wrap and chill until ready to serve. Serves 8-10. Double recipe if feeding a crowd. This entry was posted in Breakfast, Desserts, Fruit, Ice Cream, Sauces. Bookmark the permalink.